A name that evokes beauty, grace, and continental elan. 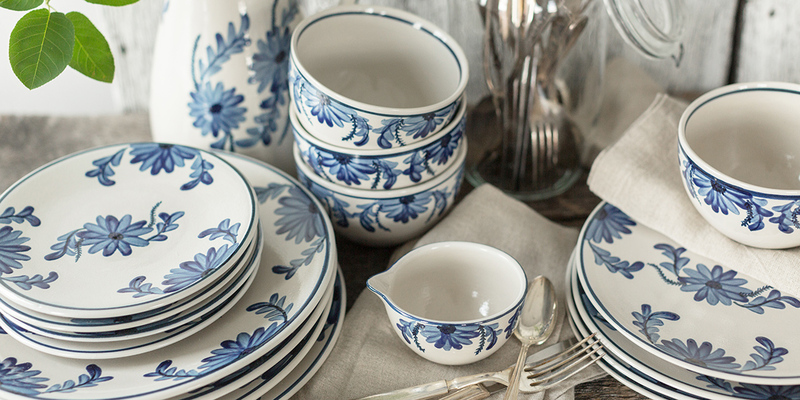 Our newest additon to the Stoneware family is a return to our hand-painted heritage. Blooming flowers and trailing tendrils in our signature cobalt blue and white make for a design that is fresh and romantic - and sure to be an instant classic.